We have teamed up with Nautilus Fly Reels to bring you our most epic giveaway yet. 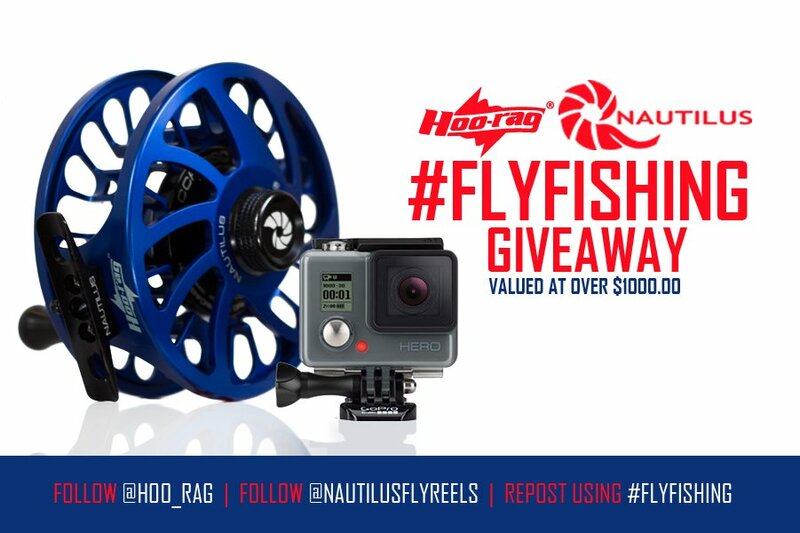 *one of a kind custom blue Hoo-rag Nautilus NV-G 8/9 Fly Reel, a GoPro Hero and a ton of Hoo swag! This prize package is worth over $1000! *10 runner-ups will win a Hoo of choice. Winners will be announced 9/28. You can enter once a day. Please be aware that your profile must be public for us to see your entries! Eligible winners will be 13+ years of age, release Instagram of any responsibility and a resident of the United States or Canada due to international giveaway regulations. This promotion is not sponsored, endorsed or administered by, or associated with, Instagram. Previous post: Fishing, Beer, Merica. Next post: 24 Hours to Get a FREE Hoo!